"Help!" is a single from Tina Turner's album "Private Dancer". In this case it’s the live version from the "Tina Live In Europe" Album. It’s a cover version of The Beatles. The Beatles released the song in 1965 from the album "Help!" "Help!" Was written by John Lennon and Paul McCartney. Tina made a ballad version of "Help!" She sang the song for a long time before she released it as a single. Tina’s live performance of the song was a cry from the heart. It became a moving and touching song and a special moment during her live concerts when she screamed out for help. Tina’s studio version was recorded with The Crusaders who are best known for their song "Streetlife". Later on it appeared on Tina’s "Private Dancer" Album in Europe. Although she sang the song already on the road since the early 80’s, it became a show stopping moment during her "Private Dancer Tour" in 1985, where this particular version is from. 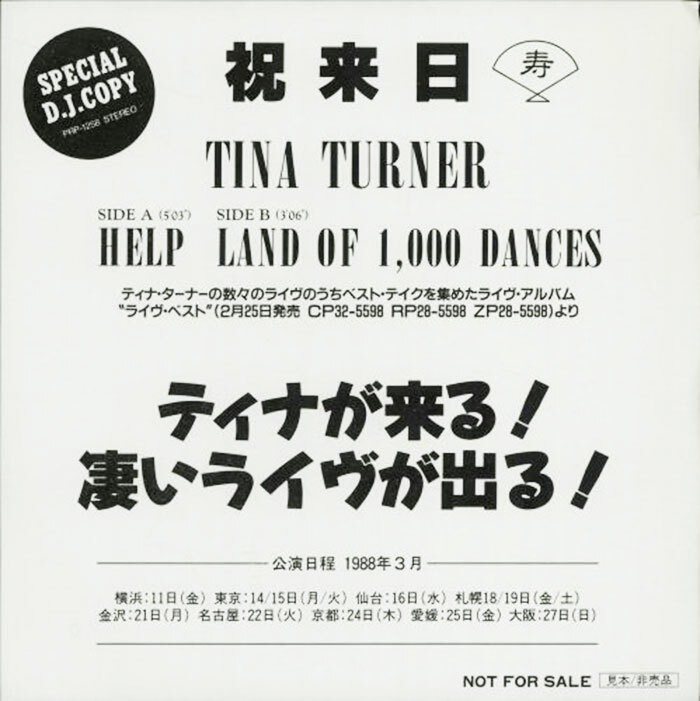 The same version appeared on "Tina’s Live In Europe" album and from this single they made a promo single in Japan. Here’s the video from this live version. Surprisingly, the b-side for this promo single was "Land Of A 1000 Dances". 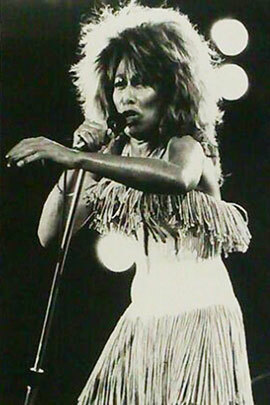 Tina performed the song many times live with the Ike & Tina Turner Revue. The song is originally from Chris Kenner, but the person who had most success with it was Wilson Pickett. 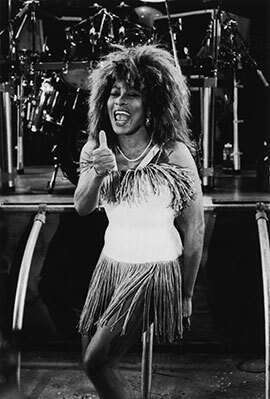 Tina performed the song again during her "Break Every Rule" Concert Special In 1986 where she paid a tribute to her own idols. This version was also included on the "Tina Live In Europe" Album. Here’s the video for "Land Of A 1000 Dances". This single is extremely rare and can be found on record fairs and online auction sites like Ebay and Discogs. Length: "Help" - 5.03 min. "Land of 1000 Dances" - 3.06 min.